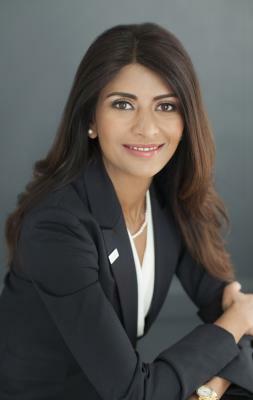 NASHVILLE, TN—The Asian American Hotel Owners Association (AAHOA) elected its first female officer over the nearly 30-year life of the organization. Jagruti Panwala is now also in line to become the first female chairwoman of the organization in 2019. “It was time—definitely time [for a woman to serve],” said Panwala. AAHOA’s all-volunteer board of about 36 come from members who own hotels across the country. Four volunteer members hold leadership positions: secretary, treasurer, vice chairman and chairman. Officers hold each post for one year after being elected secretary. Panwala won a contested election for secretary over two male counterparts in the historic election. A resident of Ivyland, PA, Panwala served before Friday’s vote as female director at large – eastern division. She will serve as secretary for 2016-2017. Officers progress from secretary to treasurer to vice chair to chair on a yearly basis. The election came at the end of AAHOA’s 2016 convention and trade show here. The event drew more than 5,000 members and vendors for three days of networking, entertainment and education.